Home > What is AccuBoost? 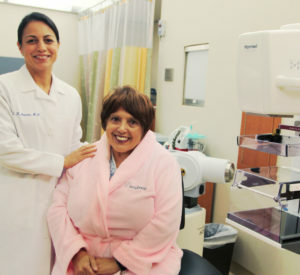 As women with early-stage breast cancer are increasingly choosing Breast Conserving Therapy(BCT), it is important for the radiation oncologist to have the best tools and techniques available. Targeted radiation therapies designed specifically to address the needs of breast cancer should be available to patients everywhere. The AccuBoost Technique offers a novel, non-invasive brachytherapy approach specifically for the treatment of breast cancer. The technique has been developed by key opinion leaders in breast cancer therapy to allow maximum flexibility in treatment options and schedule for both the patient and medical team. The AccuBoost Technique is offered for the boost phase of Whole Breast Irradiation (WBI) or alternatively for an Accelerated, 5 or 10-day course of, Partial Breast Irradiation (APBI).